Spreadsheet view of all activated and pending flatplans. 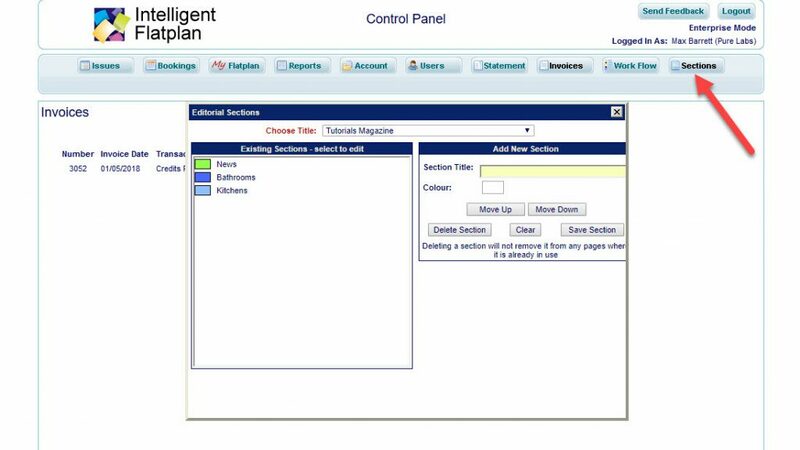 The Intelligent Flatplan includes an advertisement booking function which generates both a booking confirmation and the corresponding advertisement Object on the flatplan. 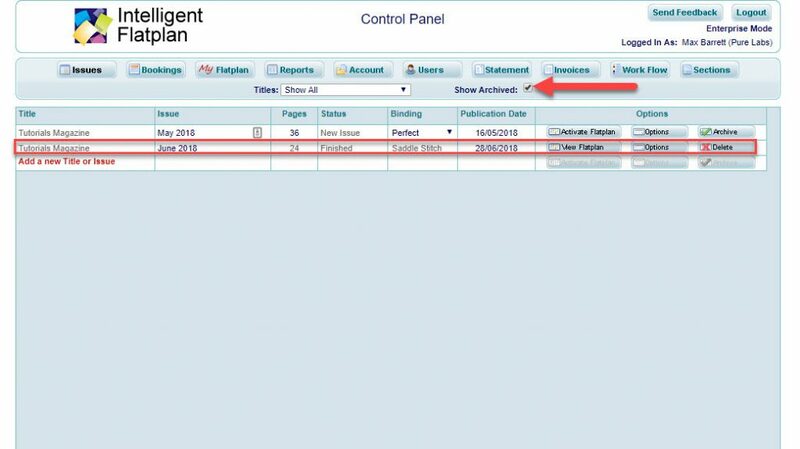 Make new bookings and edit existing bookings. Add new advertiser details or edit existing details. 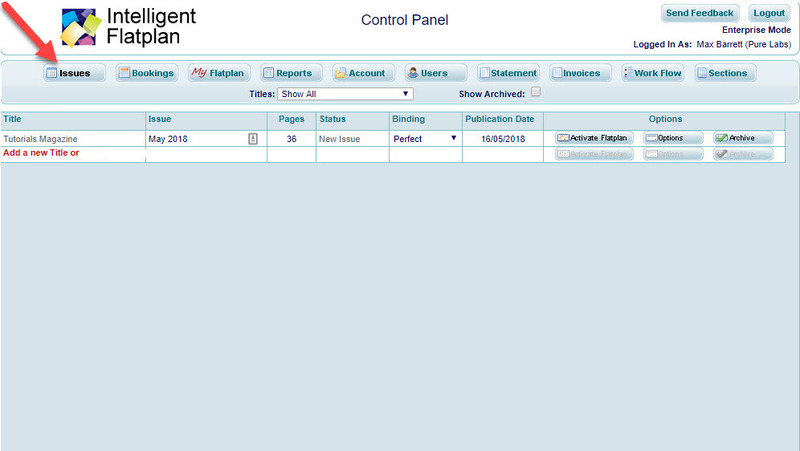 Generate a simple or advanced bookings report. 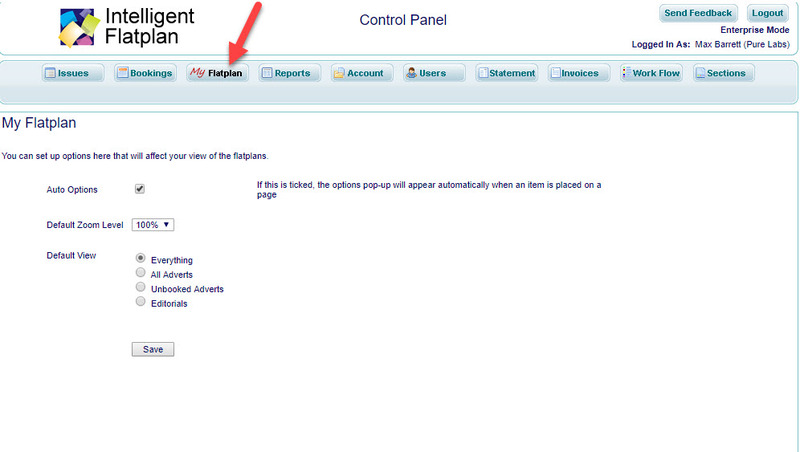 Individual users can personalise aspects of their account via the My Flatplan options. 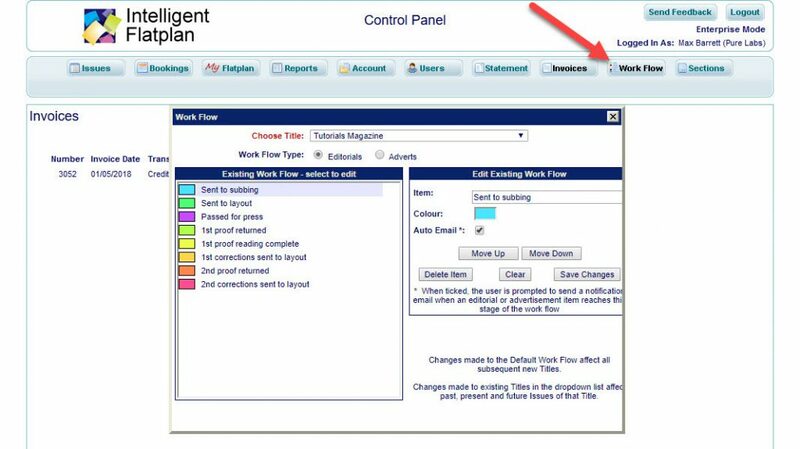 Prevent the Object Dialogue Box automatically opening when you place a new Object on the Flatplan (speeds initial planning). Set the default zoom level based on your screen resolution. Set your preferred view (For clarity, editors may prefer advertisements greyed out, while media sales may prefer editorial greyed out). 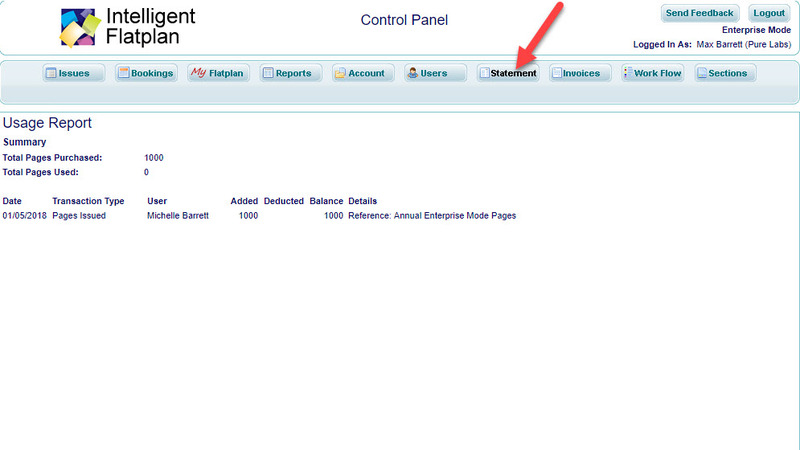 Generate a spreadsheet style view of a flatplan’s content. 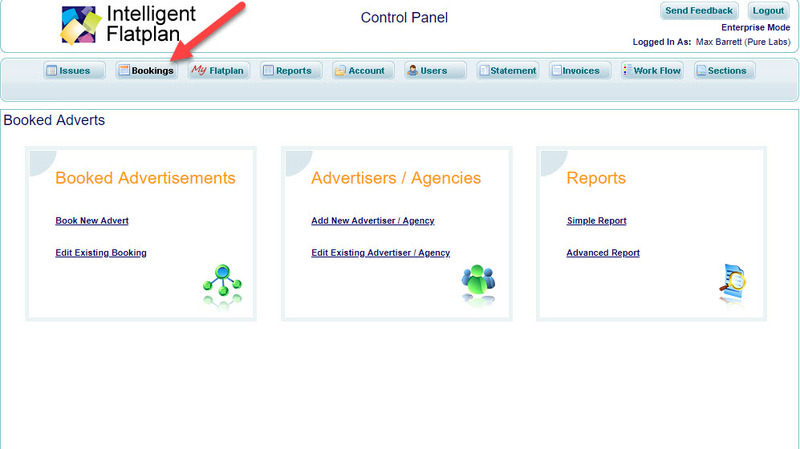 Useful for meetings, generating an advertisers index and cross checking all advertisement bookings are on the flatplan. Contact details for the Account holder. 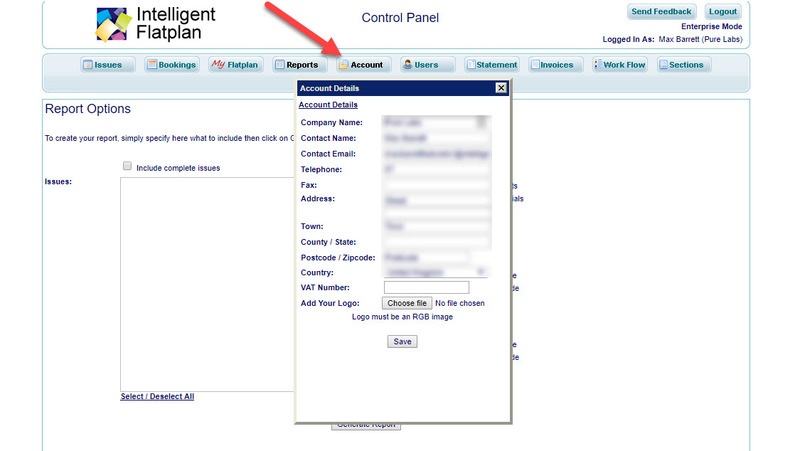 Also upload a company logo to replace the Intelligent Flatplan logo on the Control Panel and Flatplanning screens. 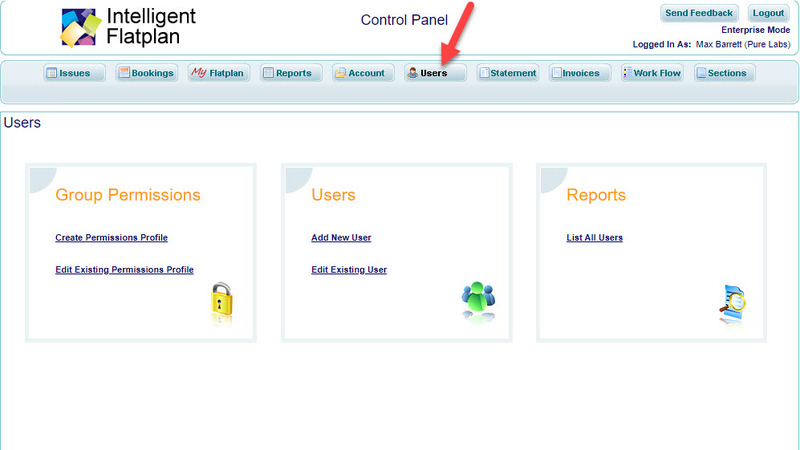 Add new Users to your Account. Chose their username and password, decide which Titles they can see and decide which functions they have permission to use. List of Page Credits purchased and consumed. 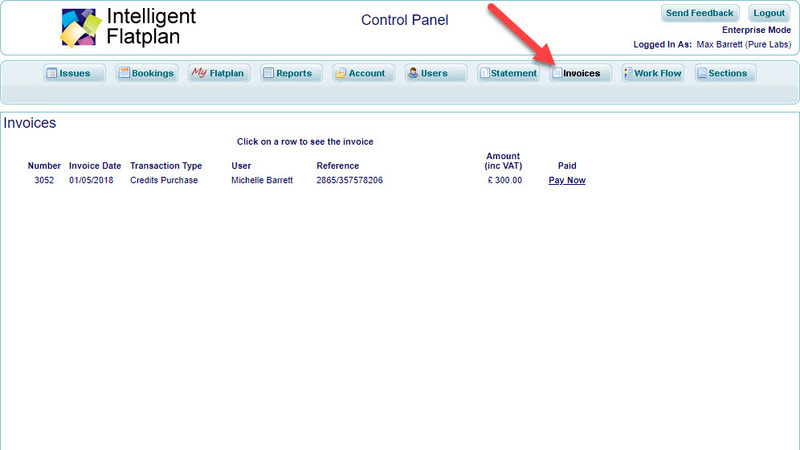 Pay/view Page Credit purchase invoices. 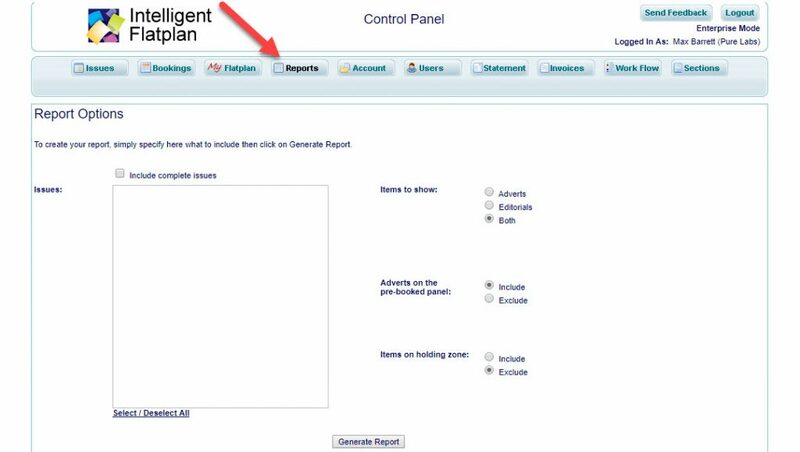 Edit the Object Workflow sequence, colours and descriptions. Also trigger a reminder email for specific Workflow steps. 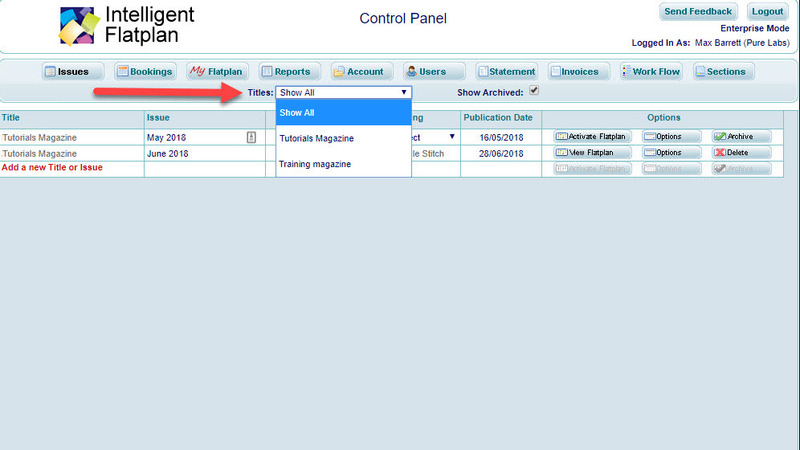 Create and edit editorial Sections which can be applied to Flatplan Pages. Filter Issues list by Title.